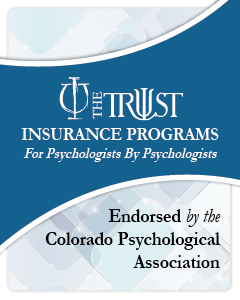 COPAGS is the student branch of the Colorado Psychological Association. We represent your needs to CPA as a whole, and we work to offer opportunities for professional growth and development to our members. The specific activities are created in response to member needs, such as networking socials, workshops, and opportunities to engage in research. COPAGS prides itself on being open and receptive to its members as well as reflecting their voice; our passion for this guides all of the activities and events we host. We offer members the opportunity to observe executive council meetings to ensure we are transparent and open to our members. Being a member of COPAGS brings you additional benefits above and beyond being a member of CPA. COPAGS is run by students and for students. We offer networking and social events every year to help build connections between the many psychology programs within Colorado. We also help new students get acclimated with graduate programs, as we have experienced how difficult of a transition this can be. We put on several events each year geared towards our students members; by being a student member, you have a voice and can influence the types of events we host. Members are allowed to attend executive council meetings of COPAGS. You also have a voice that we will bring to CPA during meetings; even as a student, your voice matters, is important, and can create change. Want to learn more? Join our circle!